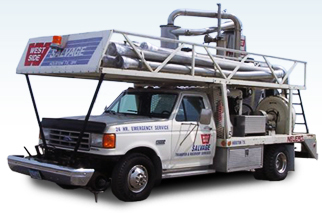 Pioneers in the recovery of various commodities, West Side Salvage is one of the largest, most equipped, most diversified and safest salvors in the United States. With more than 200 years of combined experience, we have the expertise to provide turnkey salvage and recovery solutions for most situations, from grain elevator fires to major train derailments. From start to clean up and site restoration, we get the job done efficiently, timely and safely.